Jumpstart was absolutely fantastic and made our wedding unbelievably fun! Our guests could not stop raving about the band the whole night and days afterward. The dance floor was packed all night and many of our guests ended up on stage playing the tambourine and blow-up guitars. The band was very professional and organized. They smoothly incorporated songs from our iphone for some of the special dances and fixed minor technical hiccups during cocktails immediately. We even asked them to learn a new song that wasn't for one of the special dances the week before the wedding and they pulled it off perfectly! It meant a lot to us. We would highly recommend Jumpstart! We booked JumpStart for my daughter's wedding at Edgewood, Lake Tahoe and from the outset their manager Stan was responsive to all my contacts. To say that this band's performance was sensational is an understatement. From beginning to end the dance floor was packed. Their selection of songs, playing and vocals blew everyone away and they involved our guests by having them on stage dancing and playing tambourines with them. I am still getting emails from our guests telling me how great this band and the music was. Their energy is phenomenal. I would recommend JumpStart to anyone looking for a sensational band. Professional, talented and easy to work with. Vicki J. They absolutely rocked! We got married up in Lake Tahoe and couldn't have asked for a more professional, accommodating, and fun time with Jumpstart. Stan was there for us from initial contact through the night of the event. Right off the bat their high energy had everyone on the out on the floor, shedding jackets and hiking up dresses to dance the night away. It went beyond just a live performance as they even invited up the wedding party and guests. We would highly recommend them to any of our friends and family. All of our guests said they had the best time and it completed our perfect night. Thank you Jumpstart and we hope to rock out with you at the next event! 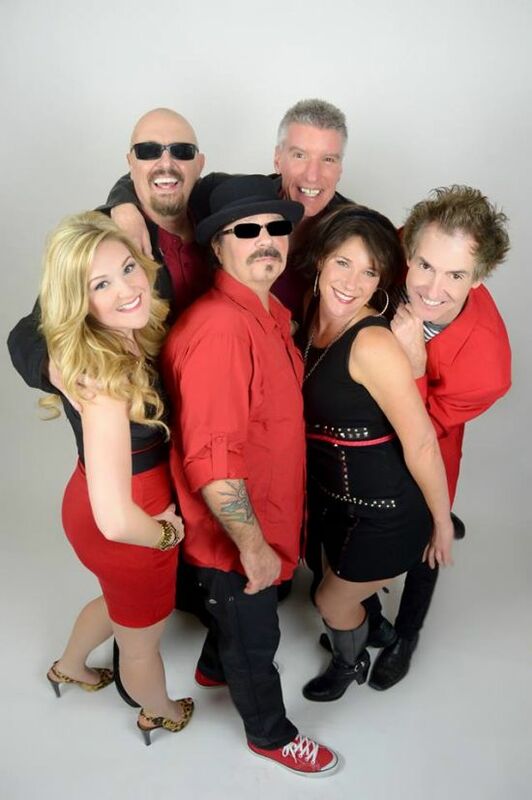 JumpStart is Northern California & Northern Nevada's premiere rock/party/dance band with years of combined performing and playing experience specializing in a unique "audience-participation" show where guests are invited and encouraged to join the band on stage. Whether your event is an informal/casual party or the most formal of affairs, JumpStart comes prepared with the appropriate music, format and attire for any occasion. JumpStart provides a fun, high-energy performance guaranteed to liven up your evening. This six-piece band plays the essential music to get you up on your feet and dancing all night long! JumpStart Your Party with the best party band, cover band, dance band, rock band, wedding band in Northern California & Northern Nevada. JumpStart has been entertaining audiences in Lake Tahoe, Reno, Sacramento, Napa, Santa Rosa, Redding, Chico, Yuba City, Vacaville, Fairfield, San Jose, Santa Cruz, Stockton, Fresno & the San Francisco Bay Area for nearly a decade with their unique "audience-participation" show where guests are invited and encouraged to join the band on stage. Whether your event is an informal/casual party or the most formal of affairs, JumpStart comes prepared with the appropriate music, format and attire for any occasion. JumpStart provides a fun, high-energy performance guaranteed to liven up your evening. This 6-piece band plays the essential music to get you up on your feet and dancing all night long!